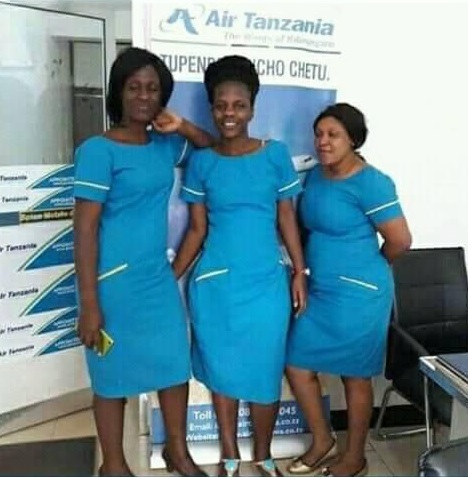 Monday, August 27, 2018 - A photo of ladies who work in Air Tanzania as air hostesses has emerged online and elicited a heated debate. The ladies look like market women. They are not attractive like ladies from other airlines. Put a nurse's kofia vichwani vyao na watafanya kazi Kenyatta hospital bila waaz... What did you expect from Magufuliland? Princesses? Be realistic dummy.